Take advantage of our buying power, and let us negotiate the price you can’t. We will never over promise and under deliver. If past experience makes you dread the thought of buying a new car, National Car Search is here to make it a whole lot easier for you. Whether you have a vehicle in mind or if you need our impartial advice on which vehicle would best suit your budget and lifestyle, our team can help you to confidently move forward in your decision. Our fees are simple. We receive a small fee from the successful dealer, which is included in the total sale price of the vehicle. There are no additional fees or hidden commissions, and if National Car Search cannot find your new vehicle there are no fees to pay. National Car Search, where new cars are on sale every day. “Just wanted to say how happy I am with your help in procuring my new vehicle. I had a Nissan Navara and was able to get into a vehicle which I thought was out of reach. The trade in price and the level of comfort that you were able to offer my company through a Toyota Hilux this allowed me to be able to afford the new ute. “I helped my brother in law and sister to buy their new car recently as you may recall, or more precisely – you did. First, you helped me indirectly to sway them away from another make to a better car, Subaru Liberty 3.6, for near about the same price. Second, you made the search and transaction smooth and painless, which was the opposite with trying to deal with the dealers, ironically also associated with Inchcape. Third, the car was delivered to the home immaculately and with great courtesy, and we couldn’t have been happier, as we (collectively) remain so. “I confidently refer my clients to Daren Kenny at National Car Search when they are looking to purchase motor vehicles. He has consistently saved my clients money on their vehicles and has impressed them with his knowledge and customer service”. What does a new vehicle broker do? National Car Search’s new vehicle buying service saves you significant time & money. We have access to a panel of reputable dealers nationally. We also have a client base of over 10,000 customers seeking cars on a regular basis. 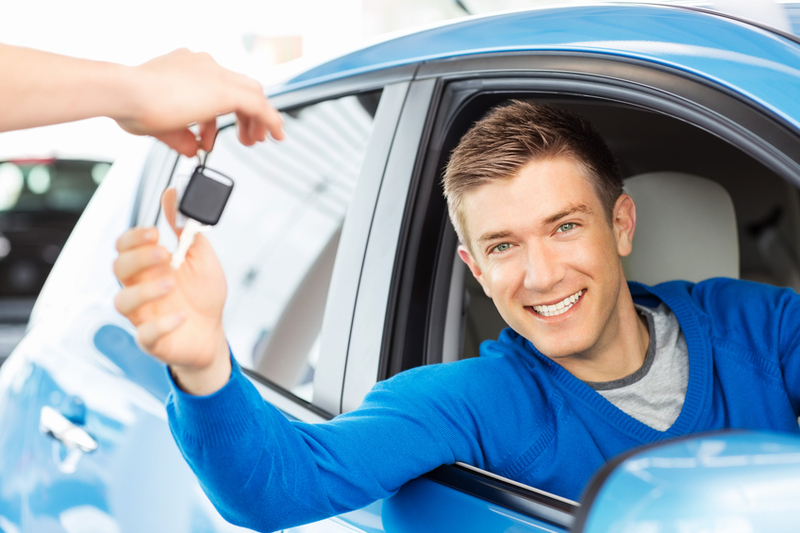 These two factors enable us to negotiate significant discounts on new vehicles. We help you in all aspects of the car buying service. We can arrange for your test drive, trade-in, streamline documentation and arrange delivery to your door. In most cases there is no need for you to step inside the dealers show room, or trudge from one dealer to another trying to negotiate your deal. Who are National Car Search? National Car Search has been a new vehicle car buying service for consumers since 1993. We help our clients by sourcing their preferred vehicle, negotiating and securing substantial discounts on new vehicle pricing and assist in the trade and delivery of their vehicle in a hassle free manner. We have helped over 10,000 customers nationally and saved them significant money on their new vehicle purchases. Weather you are a mum, retiree, tradie, fleet manager or buying a car for the first time, we will help you find the best deal for your individual needs. We are in the business of helping you find the right car, not sell you one. What are the benefits of using National Car Search? Because we work for you as your agent, not as a dealer, there is no sales pressure, no upsell and no wasted time or money. As a new car buying service, we take out any sale pressure by inviting our panel of dealers to compete for your business. We guarantee a great discount on your new car. National Car Search is easy to engage. Simply submit your enquiry, sit back, relax and let us do the work for you. When would I engage National Car Search's services? We can help you at any time of your car buying experience. If you don’t know what it is you want to buy, feel free to contact us for some “unbiased” advice on the “possible” new vehicle/s for your needs and budget. Otherwise, the best time to engage National Car Search is when you know what vehicle it is you want. Whatever stage you are at, by understanding completely what it is you are looking for, we can work with you, your needs and your budget. It’s that simple! Where is National Car Search located? National Car Search’s head office is located in Sydney. Our extensive dealer network enables us to reach all of the eastern seaboard as well as rural and remote areas. We regularly service clients in South Australia, QLD and Victoria. If you are unsure if we can assist you, please pick up the phone and speak to one of our friendly representatives. Why would I use a new vehicle broker like National Car Search? Most people don’t enjoy the process of buying a new car. They don’t enjoy having to visit multiple dealers to get a price that isn’t the best price on the market. They don’t enjoy having to settle for a colour that they don’t particularly like, and they don’t enjoy having to pay extra for their additional accessories. It takes too long, it’s frustrating and often leaves you feeling exhausted. Well, sit back, relax and let National Car Search do the work for you. Our service is an easy, simple service that takes the frustration of buying a new car away. All you need to do is fill in the enquiry form or pick up the phone, provide us with the details of the vehicle you want and let us negotiate your price, colour and delivery for you. Before you know it, a new car will arrive in your drive way or place of business. It’s that simple. Can I still test drive a car? If you haven’t already test driven the car you want to buy, we can often arrange a test drive for you. What about my trade-in? Will National Car Search help me? Yes National Car Search can help you with your trade-in. At the time of your enquiry, we will work with you in arranging the best possible trade-in solution for your vehicle. Do I have to deal with the dealer directly? Not at all. National Car Search takes away the need to deal directly with the dealers and gives you a pricing advantage that direct customers simply cannot access. We offer a car buying service that has little impact on your time and helps you save money in the process. How long before I can get my car? The delivery time can vary depending on a range of factors including; availability of the vehicle, colour choice and options required. National Car Search will always work with you in ensuring the best possible delivery time frame. How does National Car Search get discounted pricing from dealers? National Car Search has been buying vehicles for over 25 years and has built up a strong dealer network with dealers across Australia. Because of the volume of vehicles we acquire for our customers, we are able to secure significant discounts through a tendering system with our dealer panel. We ensure the full discount we negotiate is passed onto every client. We pride ourselves in our ability to source great pricing and passing on discounts to all of our customers. What is the process when dealing with my financier? Once your loan is approved, we will liaise with your financier and the dealer to ensure timely invoicing and settlement. Our role is one of streamlining and efficiency between the funder and the dealer. If you need finance, don’t hesitate to ask us to help you as we have access to some great finance options for you. I live in a regional country area or interstate, can you still help me buy my car? National Car Search has dealer connections throughout Australia and can help a wide range of customers in regional Australia and interstate. We can arrange delivery of your vehicle from any one of our dealers in the network. National Car Search aims to contact you within 24 hours of your initial enquiry. Once you have confirmed with us the vehicle you want to buy the average quote turnaround time is 48 hours. Should this timeframe require varying because of the type of vehicle being quoted, we will advise you accordingly.